The Harley Davidson Street 500 (XG500) is a cruiser style motorcycle built for those who want to own the cheapest Harley. It is the most affordable motorcycle from the company you can buy and it’s not made in the USA but India. India companies make some good motorcycles like so that should not be a dis-incentive but why I mention this is due to HD’s age branding ‘made in the USA’. But is it special? I’ve gone through the mechanical, tech and design specs before for the Street 500 before so no point going through it again. The most important part is of course that it is a LAMS motorcycle which can be ridden by all riders. 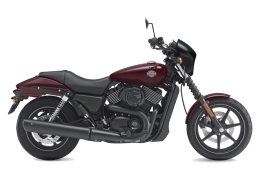 The Harley Davidson Street 500 has an on road price of just under $10000 AUD so it is an affordable motorcycle and if you value the Harley Davidson brand as I do and can’t afford a traditional model then the Street 500 is a special motorcycle which is arguably the point of this model.